All of our product is brand new and of high quality. You can rest assured, the quality guaranteed absolutely. 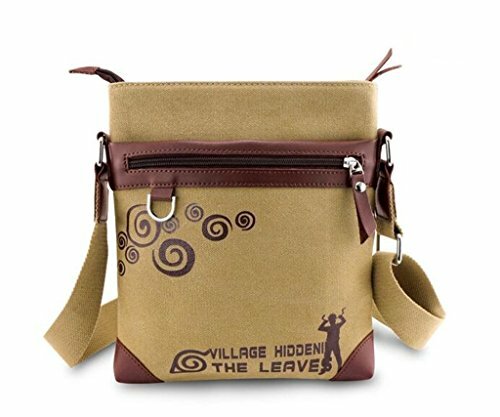 If you need other styles, please come in our Amazon store where we have more patterns for you to choose. If there is something that you are dissatisfied with, please don't leave us negative or neutral feedback right away. Please contact us via email. We promise to provide you 100% fine customer service and try best to make every customer get good mood with fine shopping experience here. 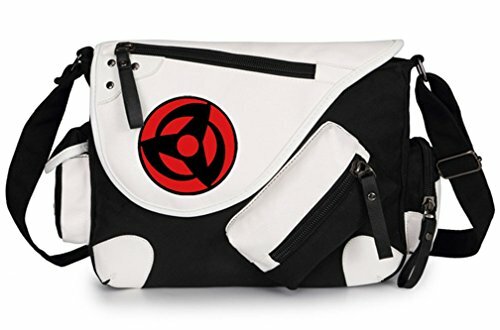 Anime Naruto cartoon messenger bag for youProduct Specifications:Weight:0.7KGSize:26CM(H) x 11CM(W) x 36CM(L)Main material: Super high quality canvas + PU LeatherUsually the shipping time is about 7 to 15 working days to US through USPS, and each order has a tracking ID for your check. 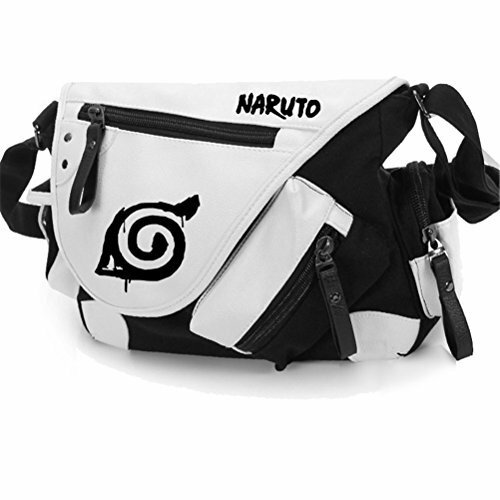 A high quality, fully licensed, messenger bag which is sure to make any anime can thrilled. Sturdy construction, high quality graphics, and fully functional. 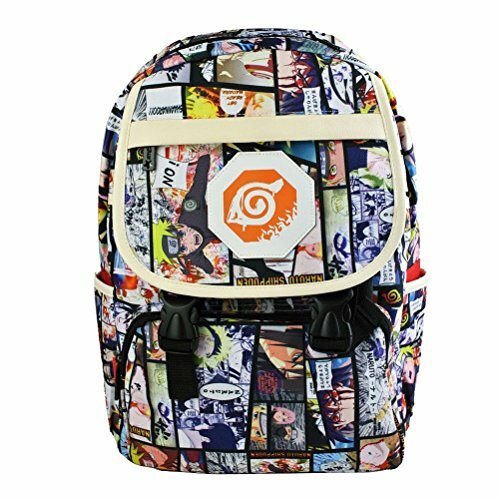 This is a unique anime Naruto backpack, Let's crazy for it!Product Specifications:Size:30cm(L) x 14cm(W) x 40cm(H)Main material: High quality Polyester + Oxford ClothNotes:1, Please note that the color of the actual item may be slightly different from the photos due to lightings and other factors. 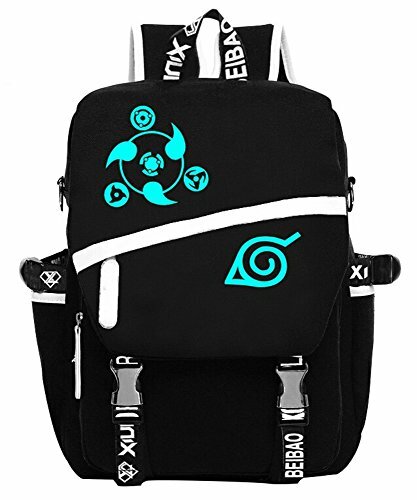 And please make sure the size of the bag is OK for you before placing the order,thanks.2, Please allow slight measurement deviation for the data.It is a great gift for anime fans.Our shop have more this anime bags and backpacks for your choice. This is a unique anime shoulder bag, Let's crazy for it!Product Specifications:Size:24cm(L) x 4cm(W) x 27cm(H)Main material: High quality strong canvasNotes:1, Please note that the color of the actual item may be slightly different from the photos due to lightings and other factors. 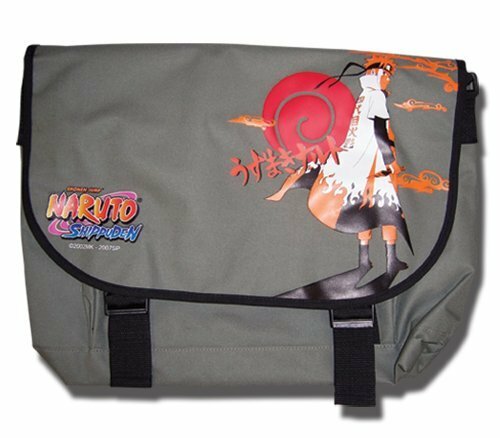 And please make sure the size of the bag is OK for you before placing the order,thanks.2, Please allow slight measurement deviation for the data.It is a great gift for anime fans.Our shop have more this anime bags and backpacks for your choice. 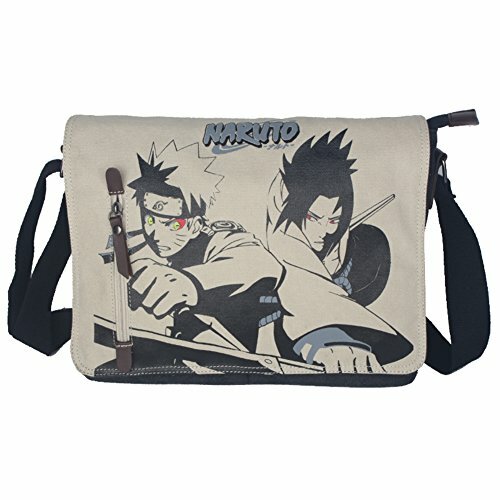 This is a unique anime Naruto Messenger bag, Let's crazy for it!Product Specifications:Size:36cm(L) x 11cm(W) x 26cm(H)Main material: High quality PU + CanvasNotes:1, Please note that the color of the actual item may be slightly different from the photos due to lightings and other factors. 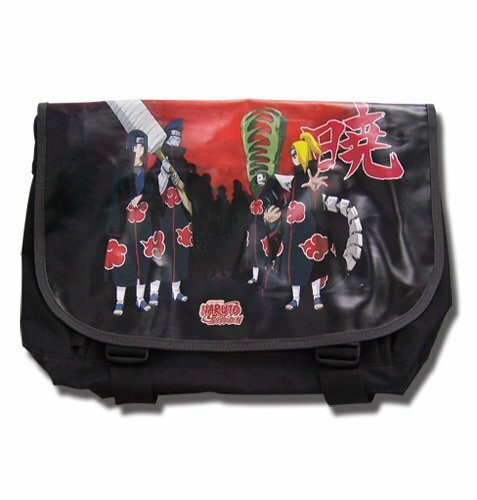 And please make sure the size of the bag is OK for you before placing the order,thanks.2, Please allow slight measurement deviation for the data.It is a great gift for anime fans.Our shop have more this anime bags and backpacks for your choice. 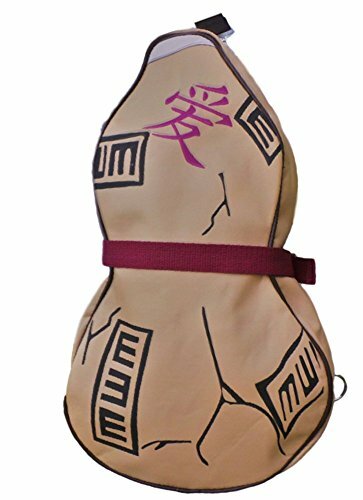 Anime Naruto cartoon backpack for youProduct Specifications:Weight:0.60KGSize:42CM(H) x 12CM(W) x 30CM(L)Main material: Super high quality canvasUsually the shipping time is about 7 to 15 working days to US through USPS, and each order has a tracking ID for your check. 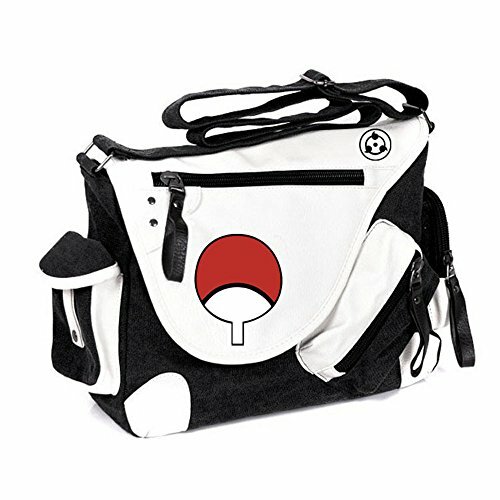 Compare prices on Naruto Messenger Bag at ShoppinGent.com – use promo codes and coupons for best offers and deals. Start smart buying with ShoppinGent.com right now and choose your golden price on every purchase.